In the age of streaming entertainment, it can be hard to leave the couch. But movie theaters still offer a special experience for those willing to get out of the house. Want to see what's out there? Don't miss this week's lineup of acclaimed movies showing on the big screen in and around Chapel Hill. 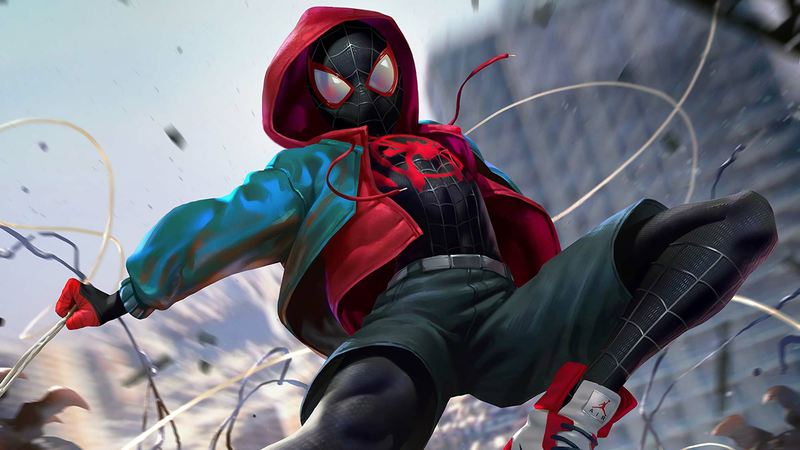 With a 97 percent critical approval rating and an audience score of 94 percent on Rotten Tomatoes, "Spider-Man: Into the Spider-Verse" has gotten stellar reviews since its release on December 14. According to the site's summary of critic reviews, "'Spider-Man: Into the Spider-Verse' matches bold storytelling with striking animation for a purely enjoyable adventure with heart, humor and plenty of superhero action." Catch it on the big screen at Silverspot Cinema Chapel Hill 13 (201 S. Estes Drive, Suite 100) and Regal Timberlyne 6 (120 Banks St.) through Thursday, Jan. 10. Click here for showtimes and tickets. With a critical approval rating of 94 percent and an audience score of 77 percent on Rotten Tomatoes, "If Beale Street Could Talk" has garnered plenty of praise since its release on December 25. The site's critical consensus has it that "'If Beale Street Could Talk' honors its source material with a beautifully filmed adaptation that finds director Barry Jenkins further strengthening his visual and narrative craft." Interested? It's playing at AMC Southpoint 17 (8030 Renaissance Pkwy. #975, Durham) through Thursday, Jan. 10. Click here for showtimes and tickets. In 18th-century England, the close relationship between Queen Anne and Sarah Churchill is threatened by the arrival of Sarah's cousin, Abigail Hill, resulting in a bitter rivalry between the two cousins to be the Queen's favorite. With a 94 percent critical approval rating and an audience score of 60 percent on Rotten Tomatoes, "The Favourite" has become a favorite since its release on December 14. The site's critical consensus indicates that "'The Favourite' sees Yorgos Lanthimos balancing a period setting against rich, timely subtext -- and getting roundly stellar performances from his well-chosen stars." Want to see for yourself? It's playing at Silverspot Cinema Chapel Hill 13 (201 S. Estes Drive, Suite 100) through Thursday, Jan. 10. Click here for showtimes and tickets. With a 93 percent critical approval rating and an audience score of 79 percent on Rotten Tomatoes, "Bumblebee" has become a favorite since its release on December 21. The site's critical consensus notes that "'Bumblebee' proves it's possible to bring fun and a sense of wonder back to a bloated blockbuster franchise -- and sets up its own slate of sequels in the bargain." In the mood for popcorn? It's playing at Silverspot Cinema Chapel Hill 13 (201 S. Estes Drive, Suite 100) and Regal Timberlyne 6 (120 Banks St.) through Thursday, Jan. 10. Click here for showtimes and tickets.